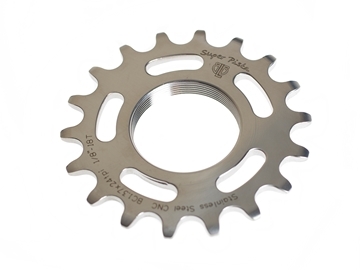 Superior CNC’d Stainless Steel ensures smoothness and the ultimate in corrosion and wear resistance for this beautifully finished sprocket. Now packaged in an elegant new box and available in four sizes. 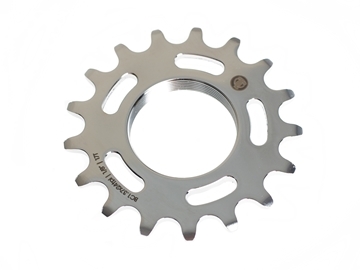 Hard wearing and high quality steel Track sprockets in a variety of colours and a massive range of sizes. 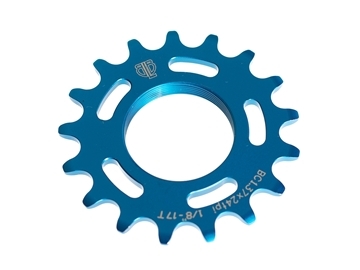 12–16 tooth sprockets have no cut outs. 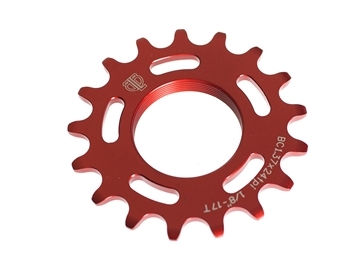 17–24 tooth sprockets are SLR (ie. with cut outs). 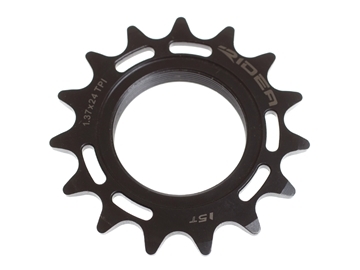 14–16 tooth sprockets have no cut outs. 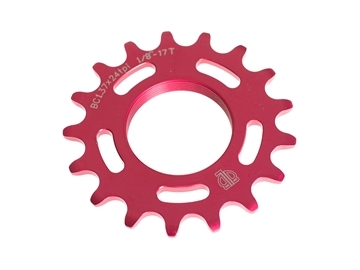 17–18 tooth sprockets are SLR (ie. with cut outs). 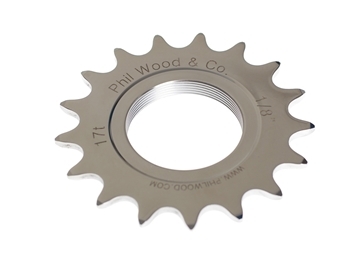 Phil Wood’s stainless steel ISO track cogs are available in 1/8″ only and are designed to be used with Phil Wood ISO hubs or any ISO fitting. 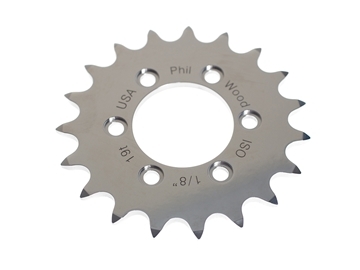 Phil Wood's commitment to the best materials, precision machining, and their extensive heat treating process provides you with a world class track cog that's strong, long lasting, corrosion resistant, and a component you'll be proud to have on your bike. Super high quality machined steel rack sprockets, a perfect match for a Phil Track hub! The threading is 1.370” x 24 tpi. Produced from cro-mo steel, the Ridea Track Sprockets are light and are fully CNC’d for the ultimate performance and maximum lifespan. 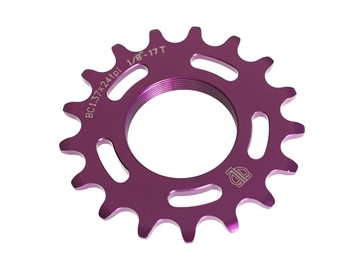 Produced from advanced aviation-grade 7075 aluminium, the Ridea Track Sprockets are super light, weighing in at a mere 19g (17T)! and are fully CNC’d for the ultimate performance and maximum lifespan. Ridea sprockets are for track use only. These cogs are designed to match rear hub. The 16 splines are designed with no sharp edges to distribute the effort equally all around the hub body. Aero grade 7075-T6 alloy, and the cog is reinforced by a special treatment, in order to increase the longevity. 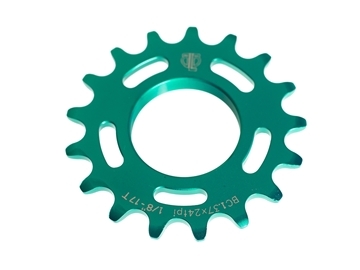 This provide an alloy cog that is harder than steel cogs.